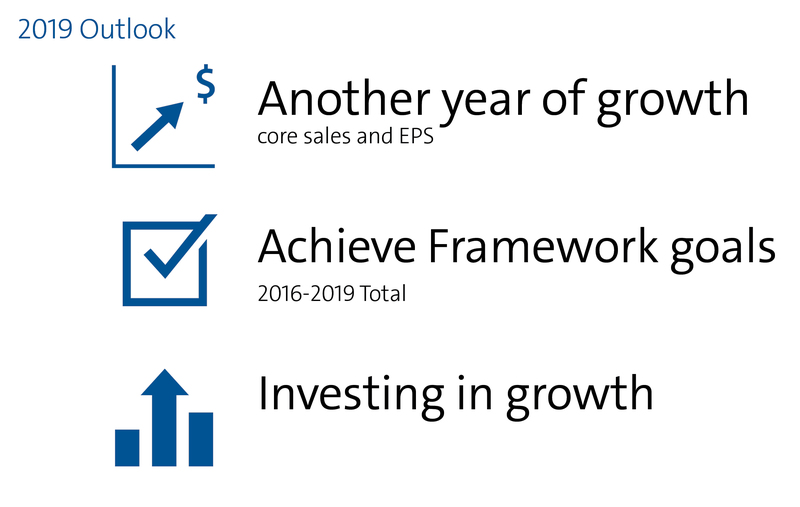 Since the Strategy and Capital Allocation Framework was announced in October 2015, we have made great progress and remain on track to fully deliver on all of our goals. 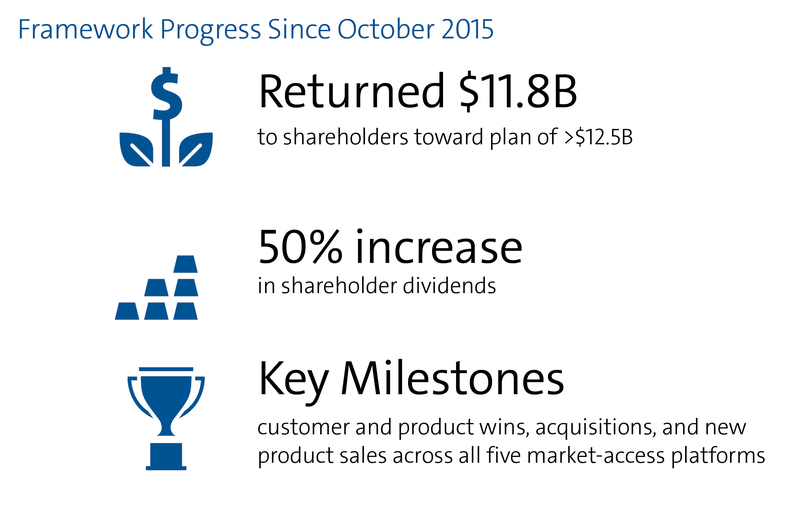 Our cash generation is on target, and through the end of the third quarter, we have returned $11.8 billion to shareholders. Dividends per share have increased 50% since the Framework began. Investments in RD&E, capital expenditures and acquisitions also remain on track to our four-year plan, totaling $8.2 billion through December 31, 2018. Research, development, and engineering are critical to sustaining and extending our leadership positions in our markets. From 2016-2019, our plan calls for us to invest a total of $2 billion, and we’re on pace from both an investment and a results perspective. Our capital spending includes investments in both manufacturing capacity and capabilities, in line with our plan to spend $6-7 billion over the four years. For acquisitions, we look for opportunities to gain strategic advantages by strengthening our portfolio or increasing our market reach. The Framework anticipates opportunistically investing $1-3 billion on these types of strategic transactions. We reached a major milestone in June 2018, when we completed the acquisition of 3M’s Communication Markets Division. This investment extends our market reach and access to global customers, while expanding our portfolio in the rapidly growing optical solutions markets.